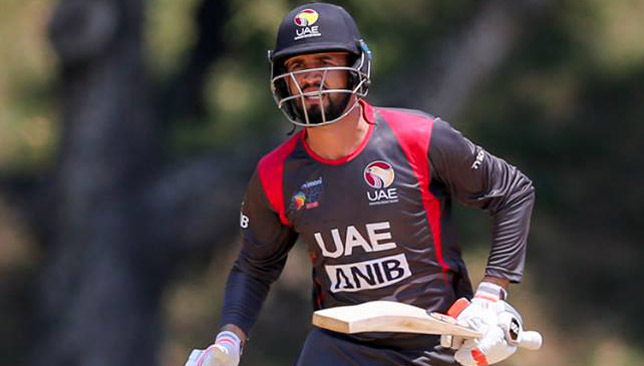 An explosive innings from Shaiman Anwar helped UAE to a 24-run win in their T20 international with USA at the ICC Academy Ground in Dubai Sports City on Saturday. The encounter was the second of a two-match T20I series. The first fixture on Friday was washed out as heavy rain forced the match to be called off early in the second innings. As such, victory in the second game also handed the hosts as series win. UAE won the toss and elected to bat. Opener Ashfaq Ahmed was dismissed early but an 81-run stand for the second wicket set the home team on course for a formidable score. Anwar was the star of the innings, hitting six sixes and three boundaries during his knock of 62 which came off just 30 deliveries. With a strike rate of 206.67, the 40-year-old ensured his side scored at an alarming rate. Meanwhile, Rohan Mustafa supported him ably at the other end, scoring 45 off 38 balls with seven boundaries as UAE posted a score of 182-7. After losing their second wicket for 37 runs, USA put together a strong partnership of their own. Steven Taylor scored 49 off 40 balls while Xavier Marshall put up 31 from 26 to give the visitors a chance. 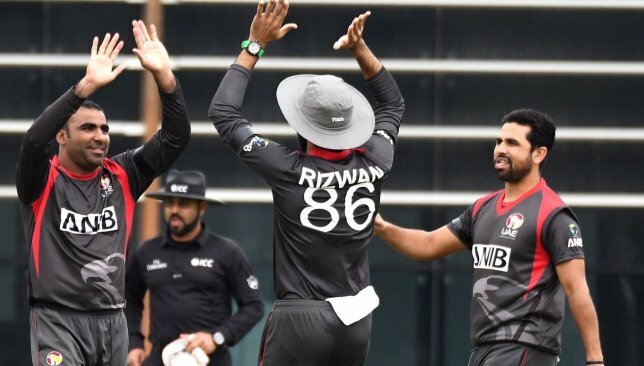 However, their 72-run partnership was brought to an end when Mustafa picked up Marshall’s wicket and when Taylor was dismissed in the following over – along with Roy Silva – UAE were back in the driving seat. Sultan Ahmed was the pick of the bowlers, finishing with figures of 3-33. USA managed to play out their quota of 20 overs but having failed to accelerate in the death overs, they only managed to get to 158-6. The two-month suspension of UAE cricketers from international cricket ended with veteran Rohan Mustafa among three players back for the T20 series against USA. The then captain Mustafa, Ahmed Raza and Rameez Shahzad were suspended from international cricket for eight weeks by the Emirates Cricket Board in December for their outburst on social media over playing conditions during the Emerging Teams Asia Cup in Pakistan. With their international suspension over, all three players were selected for the two-match T20 series against USA. Mohammad Naveed retains his captaincy. UAE lost the previous T20 series by a close margin to Nepal in a rain-curtailed 10-over-a-side decider in Dubai last month. The matches will be played on March 15 and 16 at the ICC Academy in Dubai. Both matches will commence at 14:00 and entry is free. Also, the clashes will be live streamed.